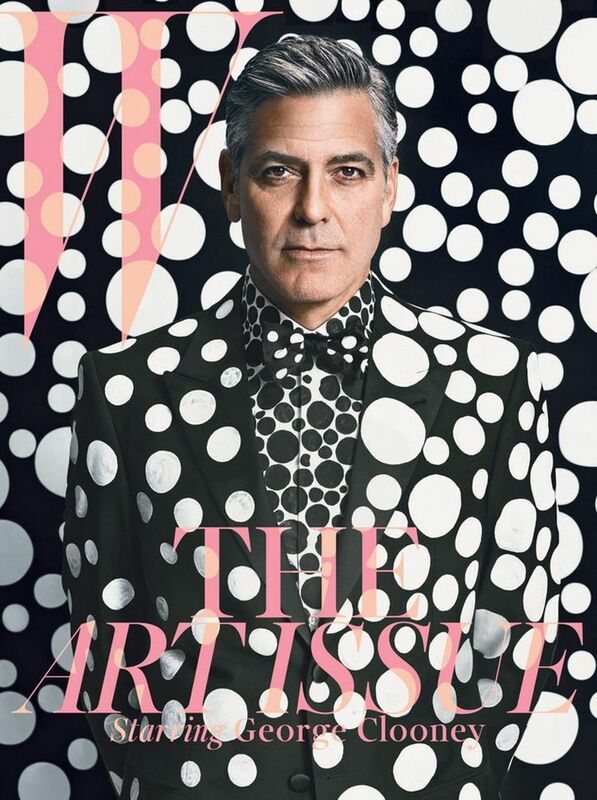 I’m literally obsessed, OBSESSED with the W Magazine‘s new December 2013 cover for “The Art Issue.” I can’t get enough of it. 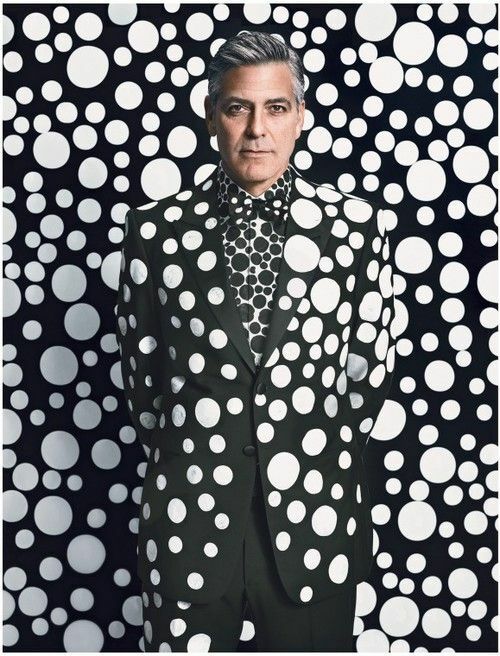 What a playful use of color and pattern, and doesn’t George Clooney look great? So unexpected. 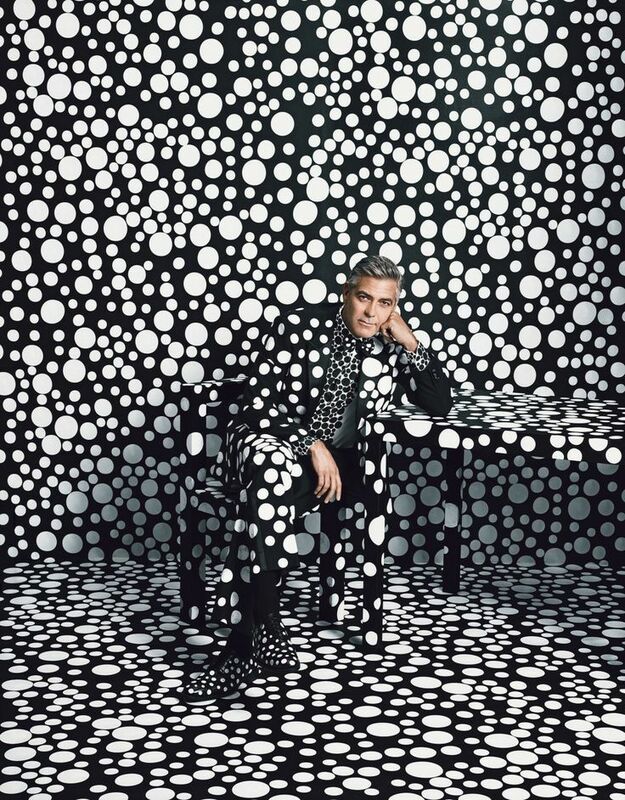 Clooney is wearing a Giorgio Armani suit, shirt, and shoes, customized by Yayoi Kusama. 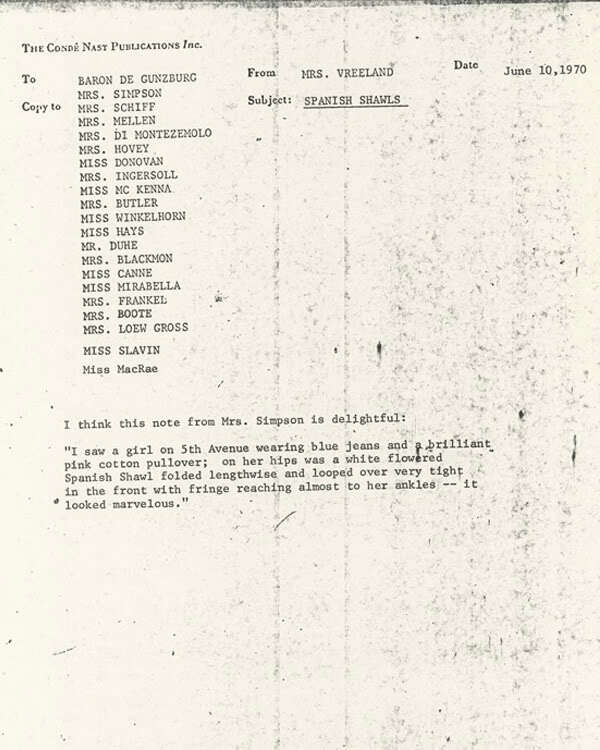 According to W’s site, In the late ’60s, Kusama’s celebrity rivaled that of Andy Warhol. A central figure on the New York avant-garde scene, Kusama was famous for her delicately patterned abstract canvases, soft furniture with phalluses, and happenings in which she painted naked participants with her now signature polka dots. She also had her own clothing shop, where she sold her racy designs. But when the emotional issues that had plagued her since childhood proved overwhelming, she quit New York and entered a Tokyo psychiatric hospital, where she has resided ever since. 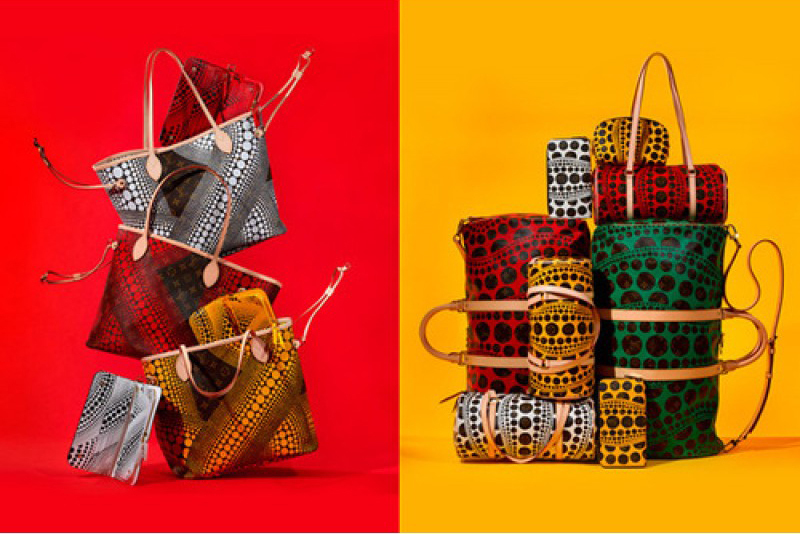 You may also recognize Kusama’s work from the Louis Vuitton collaborations a year or two ago. 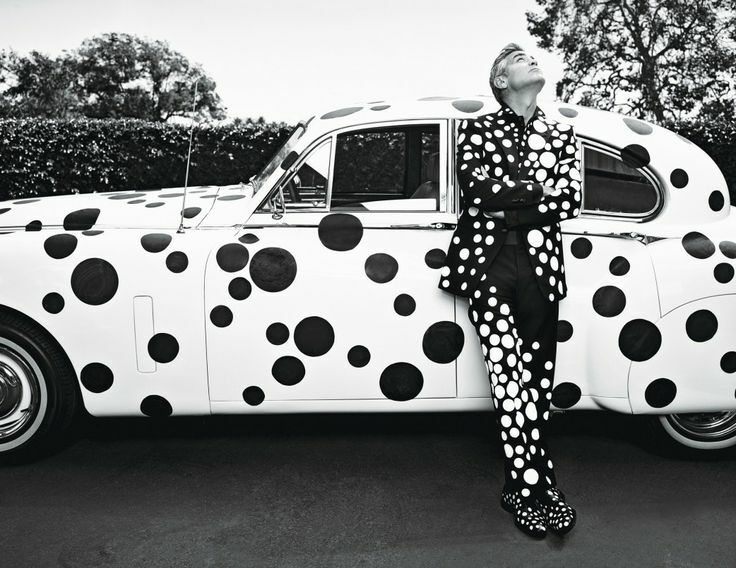 The December 2013 issue of W magazine is on newsstands now. 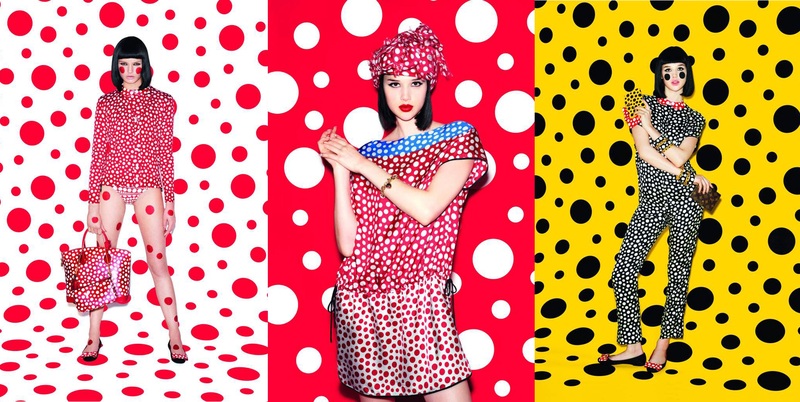 Yayoi Kusama x Louis Vuitton (above & below). 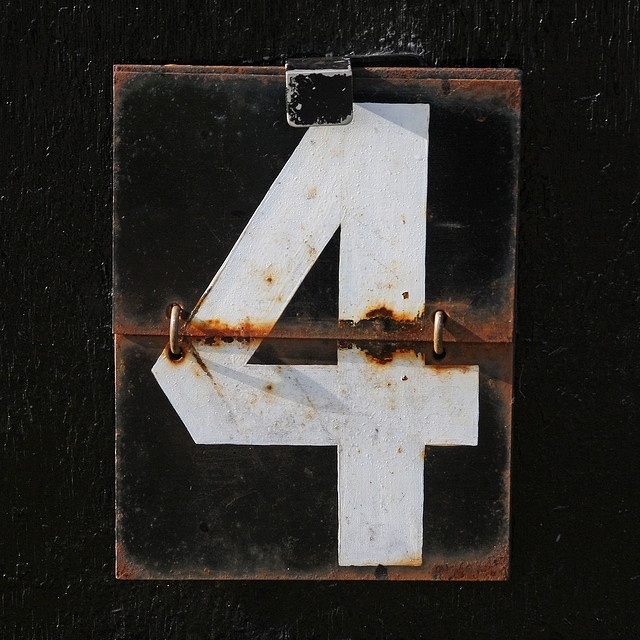 4 by Leo Reynolds. See more on Flickr here. 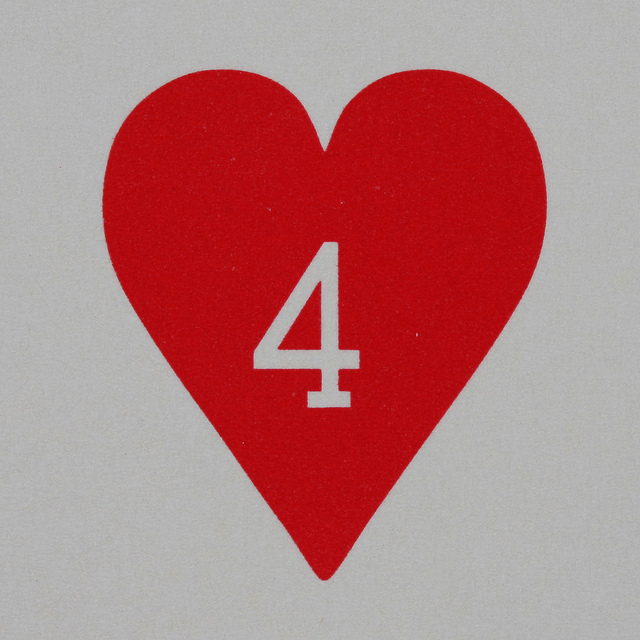 This fall, my humble little design blog turned 4! 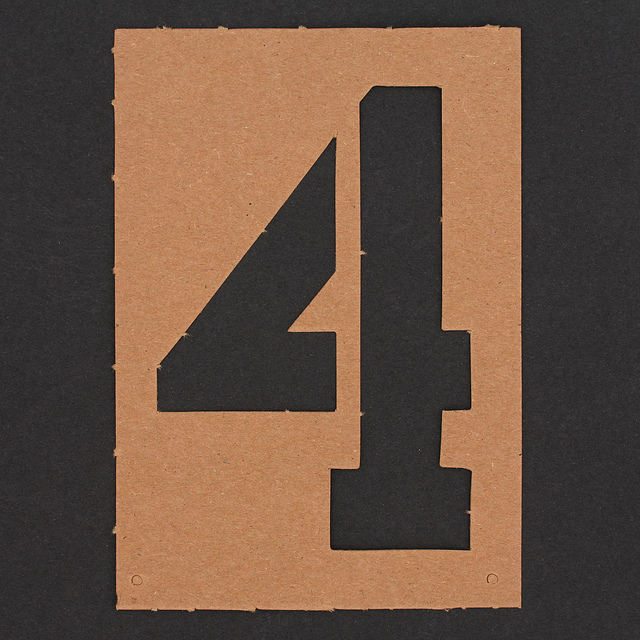 This August also marks my 4-year anniversary of moving to New York City. How time flies. I started this blog while attending Pratt Institute and earning my Design MFA. In a Motion Design studio we were to document process and inspiration for the semester and speak about design. Now, almost 200 posts and 61,000 views later my blog is still chugging along. 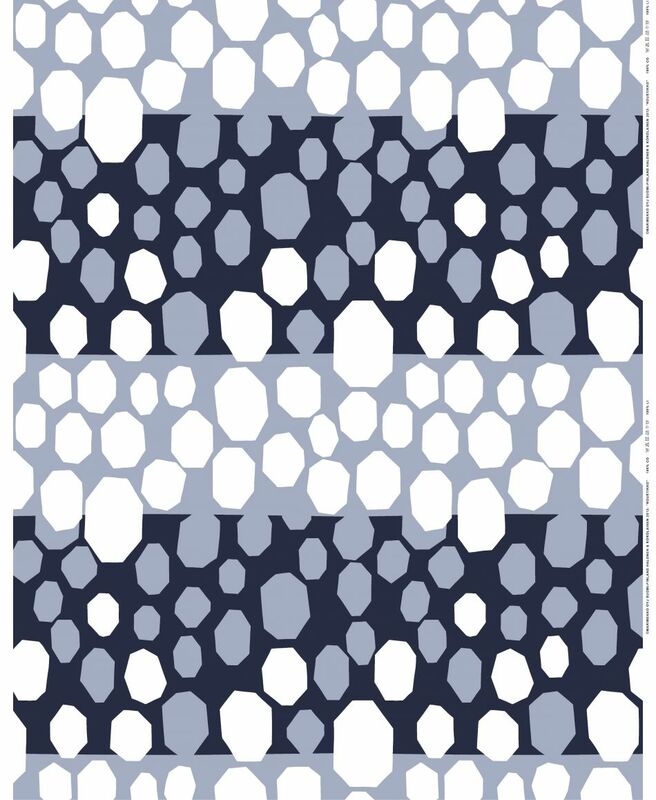 Today there’s a tighter focus design, be it Scandinavian design, textiles, prints and patterns, photography, advertising, fashion or my rants about life. While this blog is no “Design Sponge,” or the myriad of other blogs out there, it servers as an opportunity for me to share what I’m into, curate content and write about design. This has been particularly useful for getting jobs and getting my name out there, something I never expected. 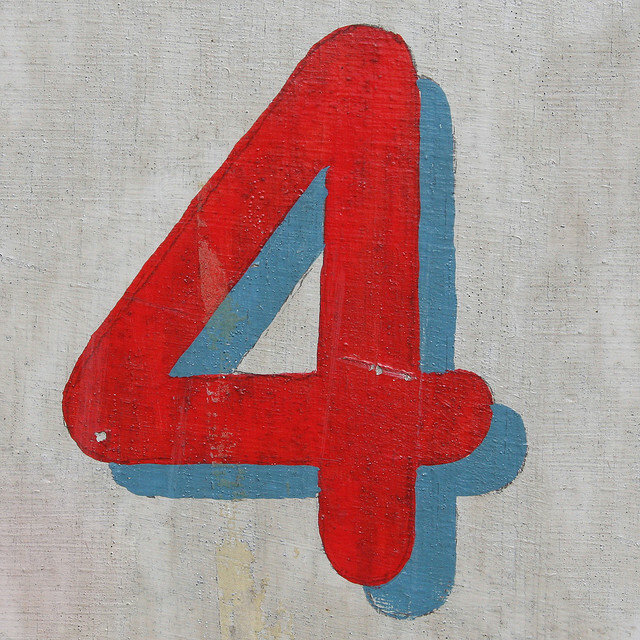 So I just wanted to say thanks for browsing and following me these 4 years. 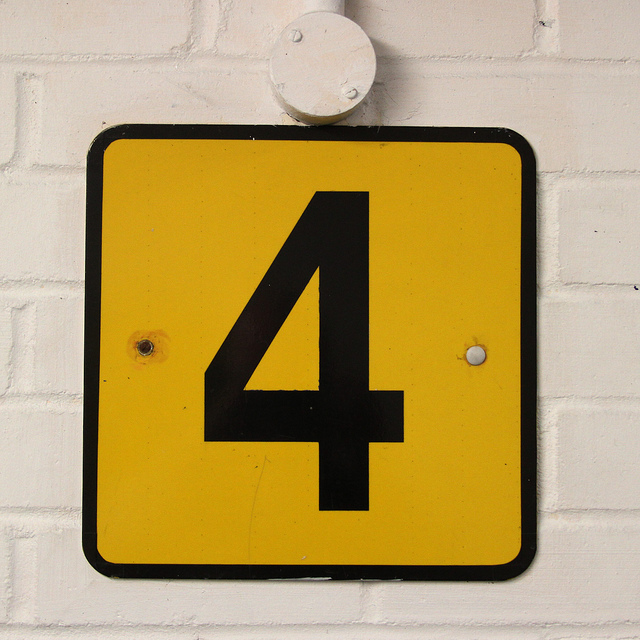 So here’s to the next 4! See more photos by Leo on his Flickr page. Get into it! 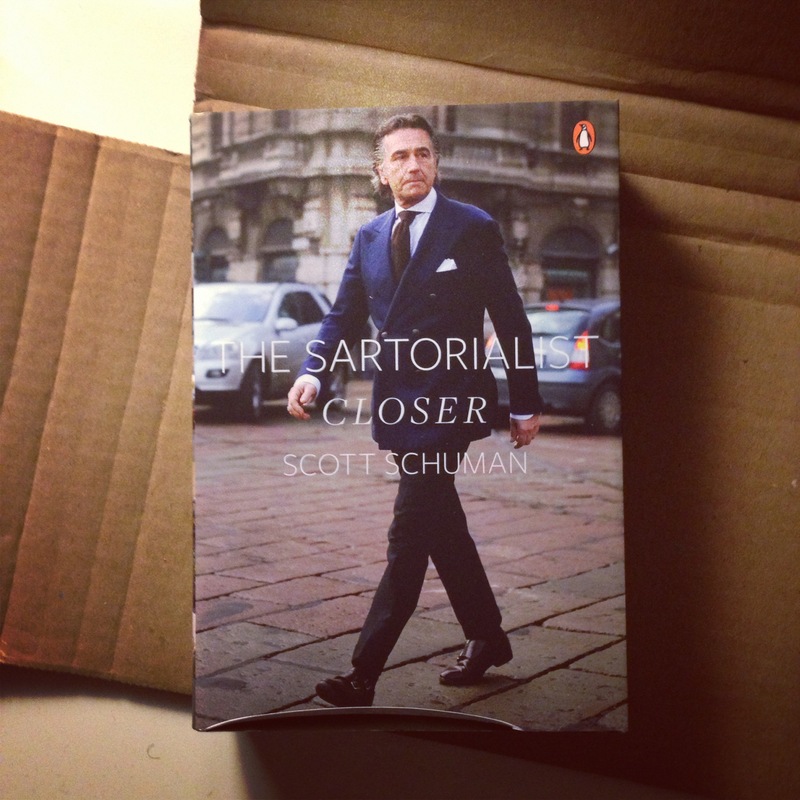 Closer is the second book by Scott Schuman of the Sartorialist, the blog that inspired a million clones and turned street style blogging into the industry it is today. 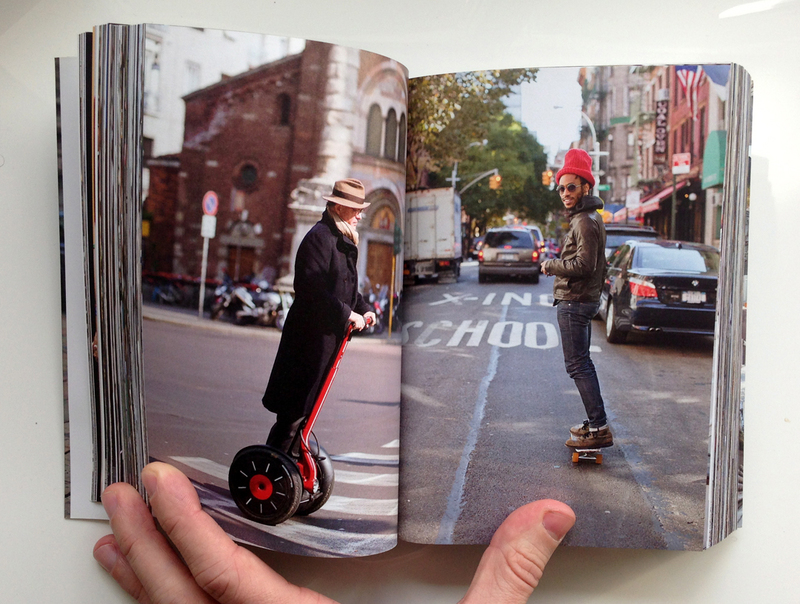 I bought his first book, The Sartorialist, when I moved to New York and totally feel in love. So I was trilled to learn Schuman was releasing a sequel. 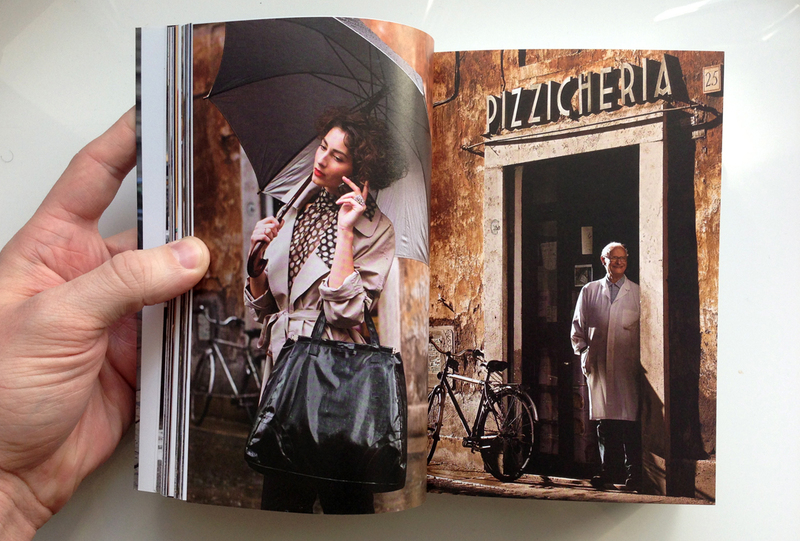 What I enjoy most about Closer is the diversity of images and the way Schuman plays with contrast in the spreads. One spread might show two people dressed head-to-toe in white, but each outfit is still individually unique. 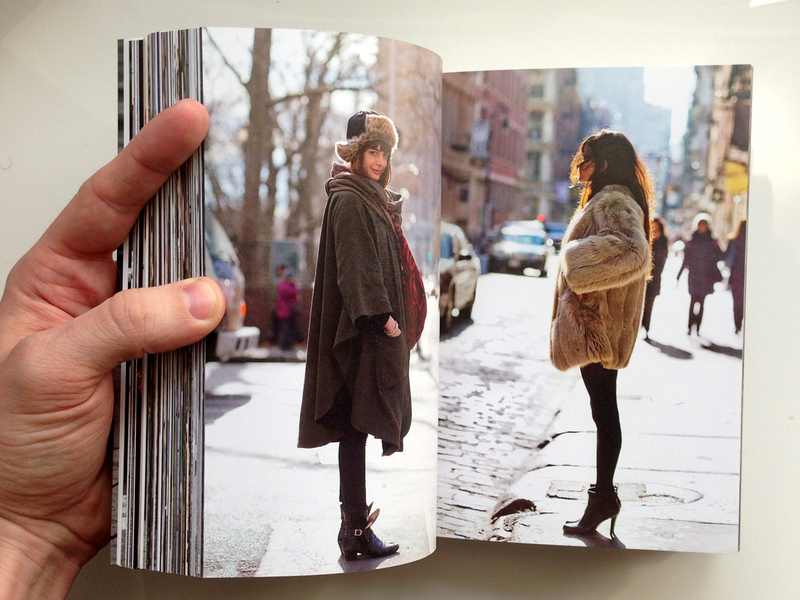 Another spread might show two people wearing similar colors, patterns, or type of dress, but each person wears it their own way. These patterns are so thoughtfully arranged and paced which adds to the experience of reading it. There’s also nice contrast between ages in Closer. It’s touching to see pictures of children beside adults and realize that at any age, one can be playful with style. I’ve posted a sampling of my favorites but I highly recommend that you pick up the book for yourself! 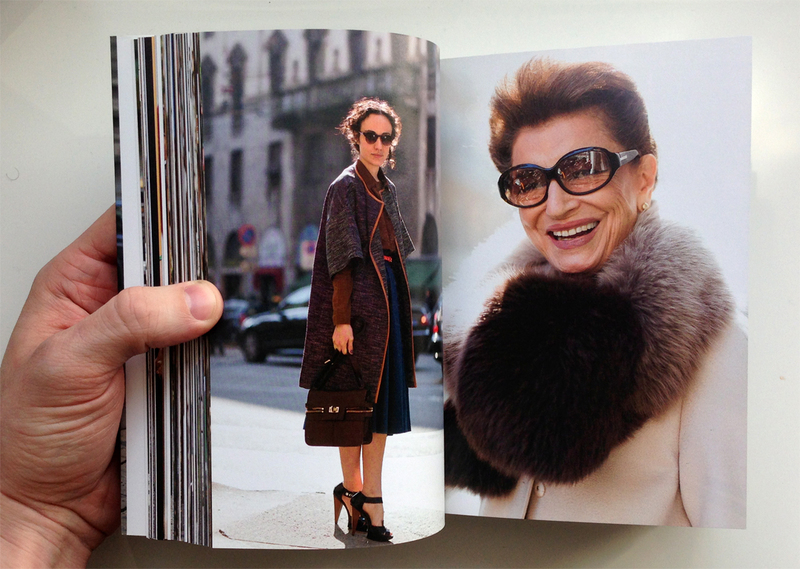 All Schuman’s books should be experienced in person as they each give an intimate look into how we dress and express ourselves through clothes. So get into it! 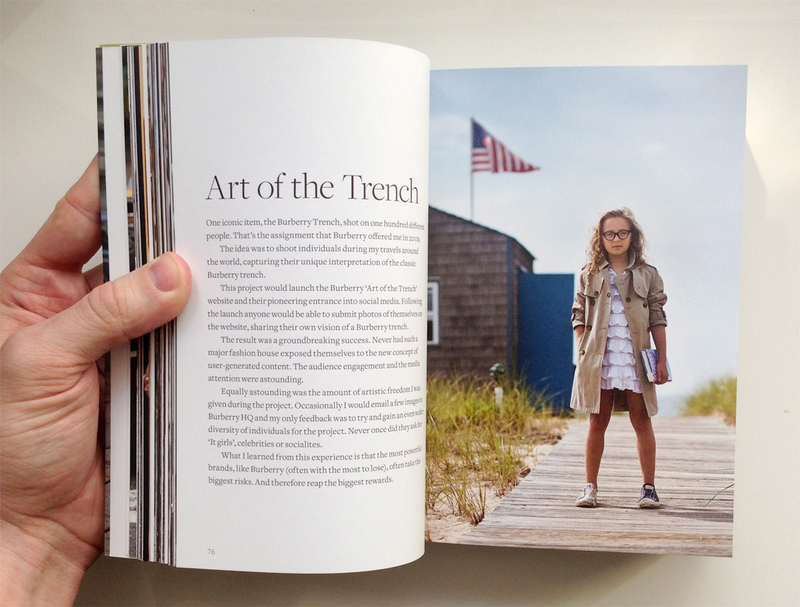 This is a great project – looooove the images. 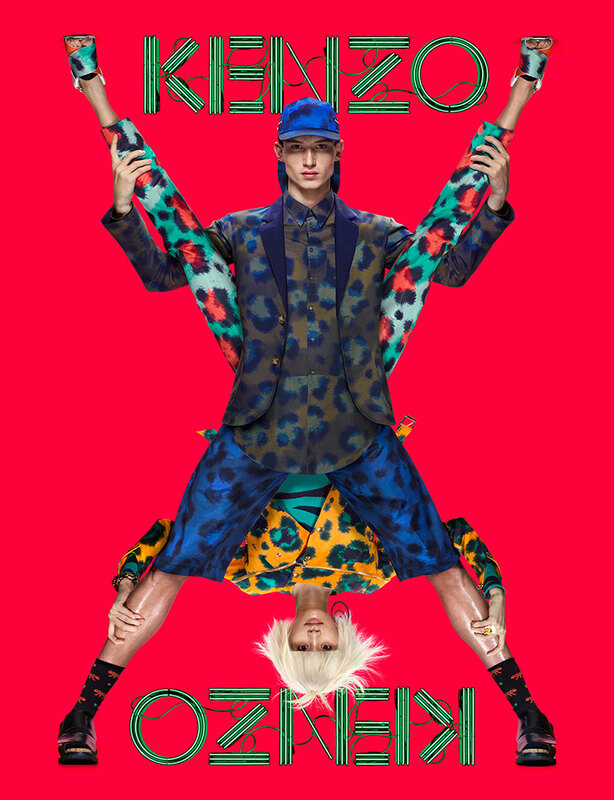 While looking through the March fashion magazines, Kenzo’s Spring 2013 ads caught my eye with their bold colors, prints and layout. Compared to other advertising in the March issues, these really stand out. 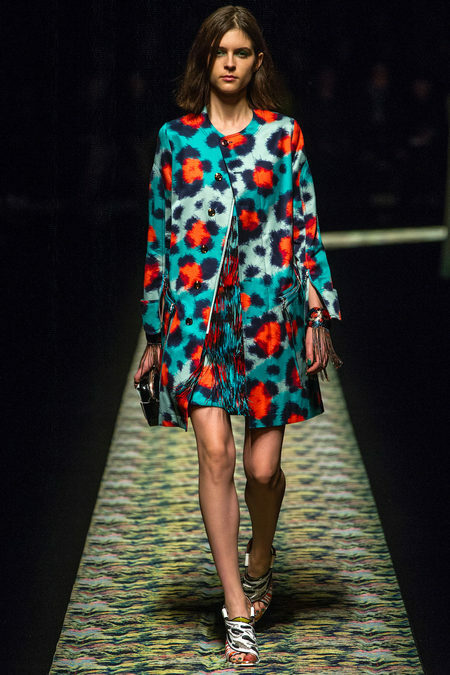 Also I can’t get enough of the bold patterns! 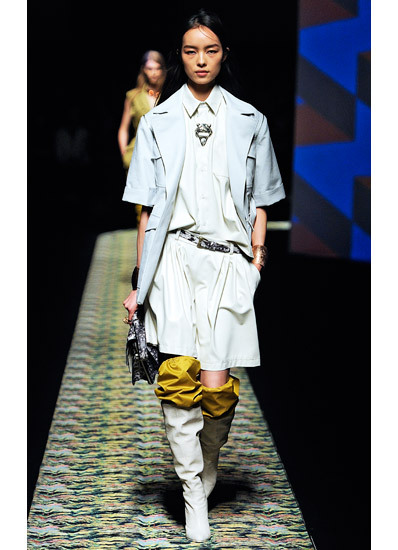 Now I can’t truly see myself wearing something like this, but I’m very into the pattern mixing that’s trending right now. 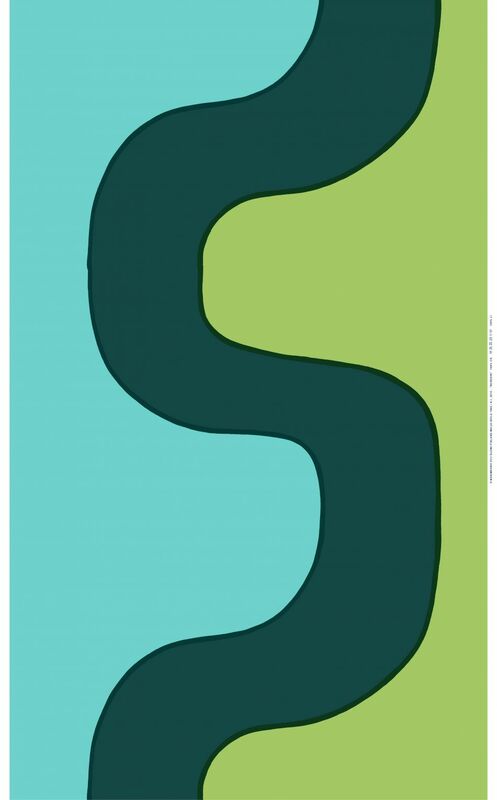 I love how playful and graphic these combiations are. 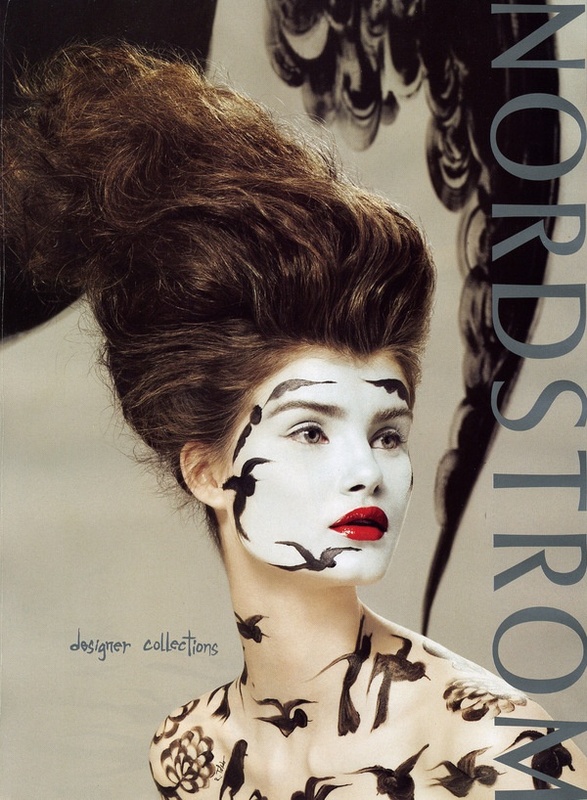 From a textile/pattern design standpoint, fashion is a great place to be inspired. 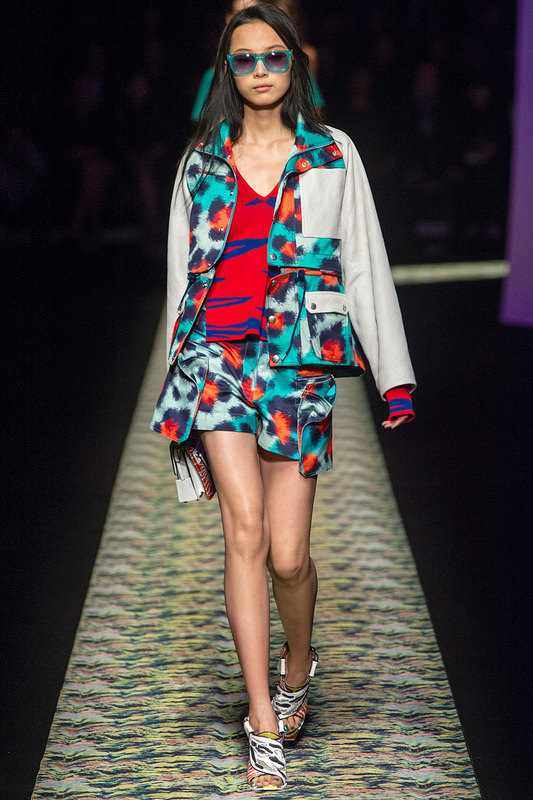 And Kenzo’s Spring 2013 collection is a great place to look for new ideas. 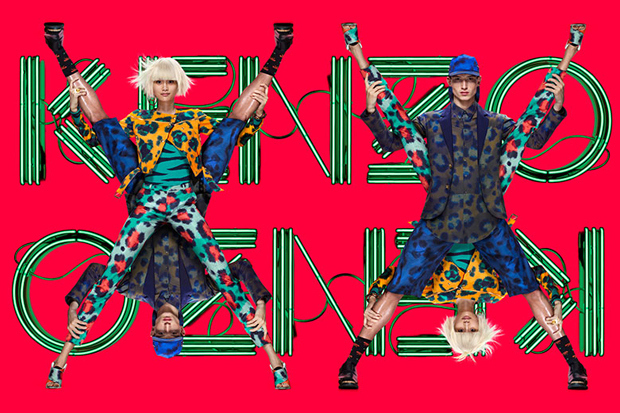 Kenzo Spring/Summer 2013 Ads – great right? 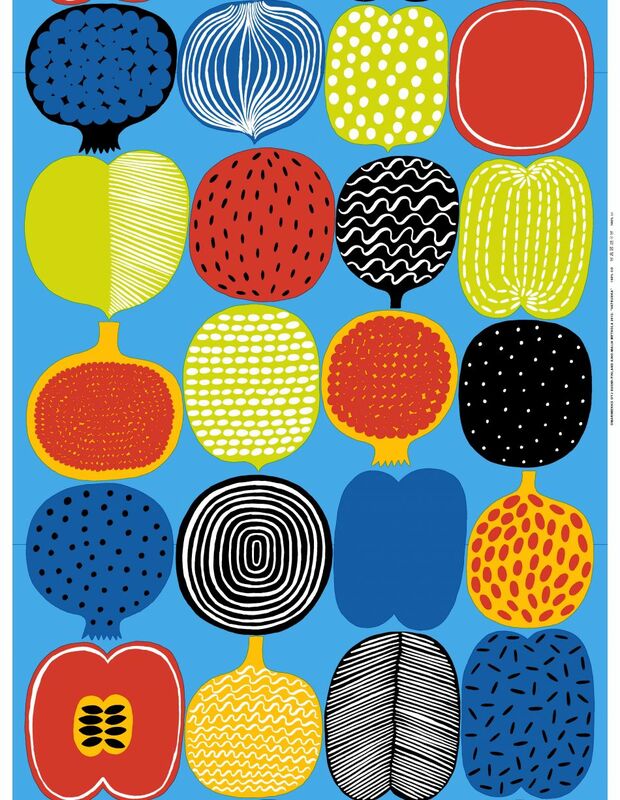 Marimekko Spring 2013 – full catalog here. It’s (almost) that time of year again, SPRING! 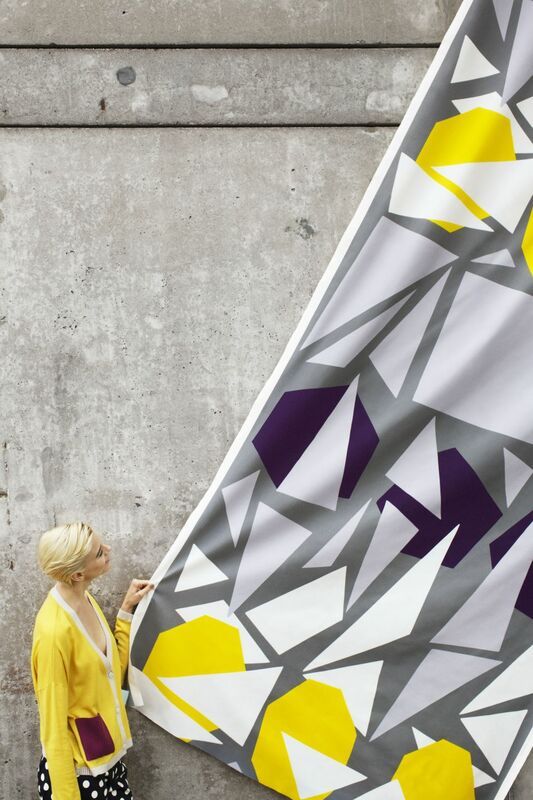 To celebrate, I’m sharing new images from Marimekko‘s Spring 2013 campaign, “Colour for a reason.” Aren’t these colors and textiles like a breath of fresh air?? Be sure to drop by one of their stores, or check out their new collections online here. 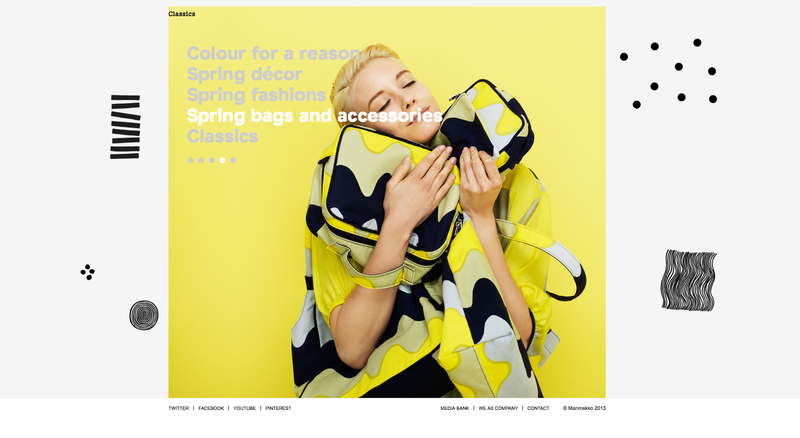 Spring 2013 at Marimekko – Colour for a reason. Get into it! 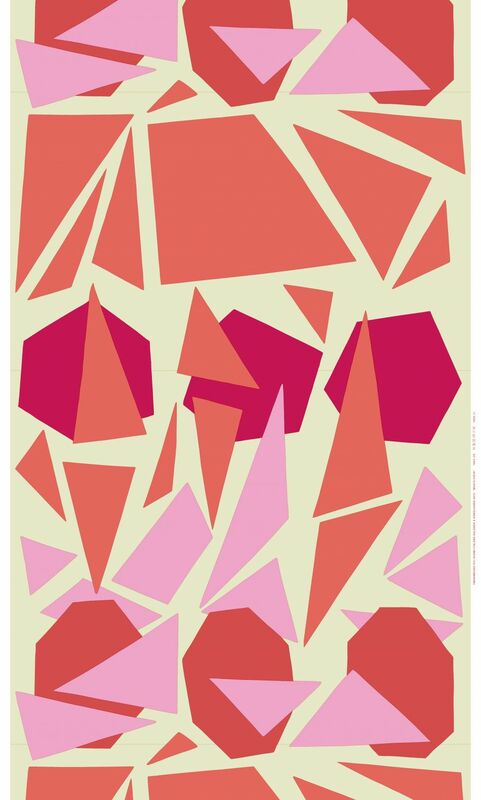 Maija Isola pattern from 1961, today in 2013. How great is that? 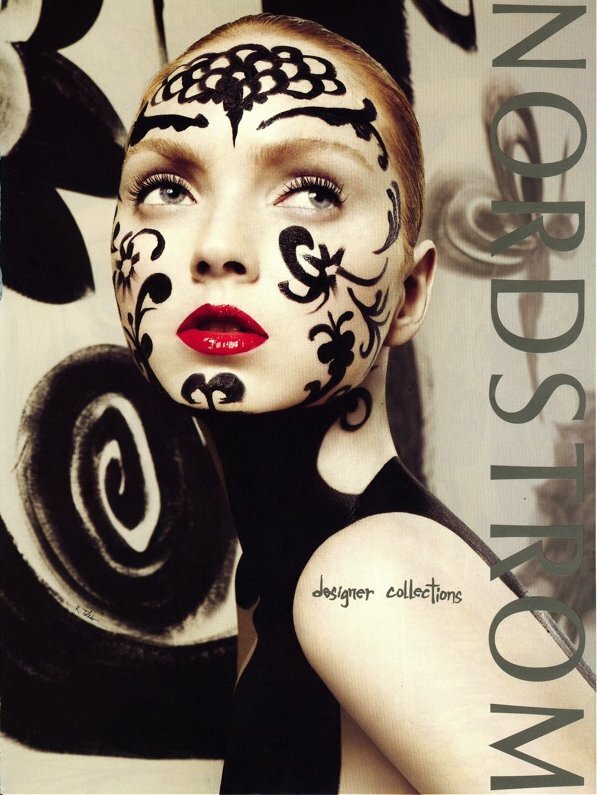 Yesterday I blogged about Grace Coddington, Creative Director at Vogue and her uninspiring memoir Grace. After ranting about my disappointment with her memoir, I wanted to show you how it’s done. 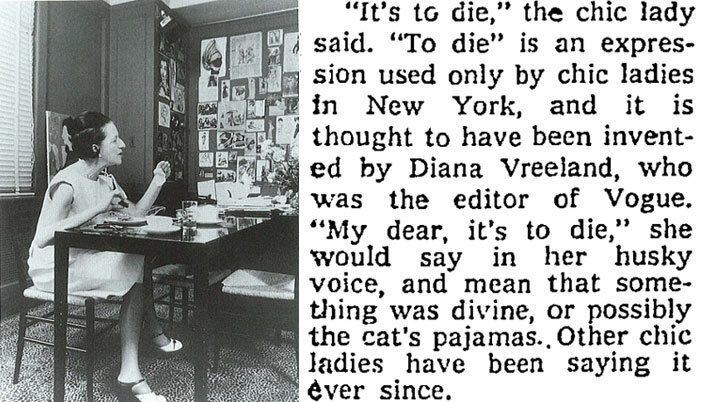 Everyone knows about Anna Wintour, but before Anna there was Diana! 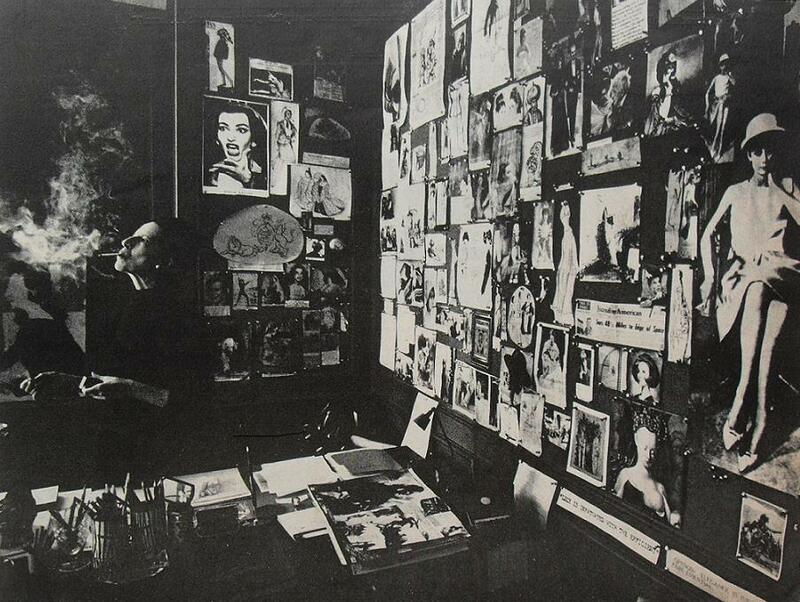 Diana Vreeland is best known for holding the top position at American Vogue and her earlier years at Harper’s Bazaar. 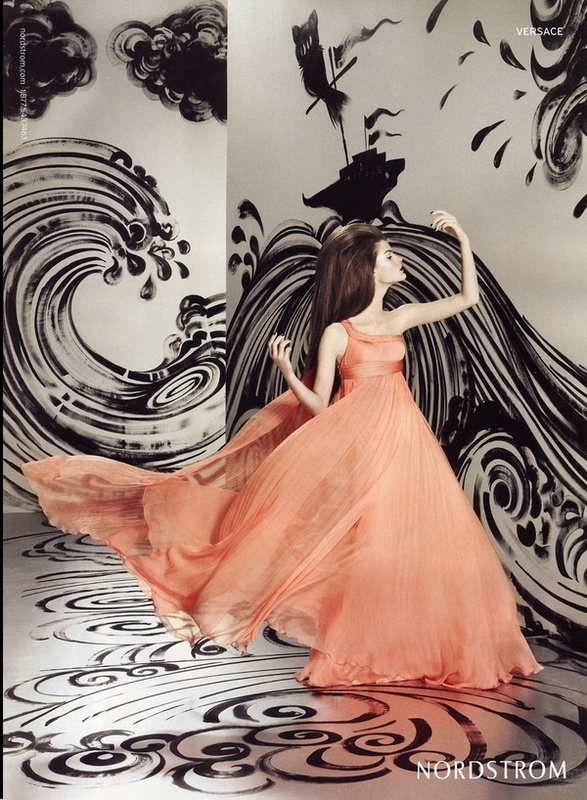 As she famously said, “I wasn’t a fashion editor, I was THE ONE AND ONLY fashion editor.” After the magazines, Vreeland staged another career comeback by transforming the Met’s Costume Institute from a sleepy storage facility into a vibrant and wildly popular wing of the museum. Under Vreeland’s leadership the Met housed 15 blockbuster shows, much like the hugely popular shows at the Costume Institute today. I speak of this very often — and as soon as I stop speaking the pearls disappear. 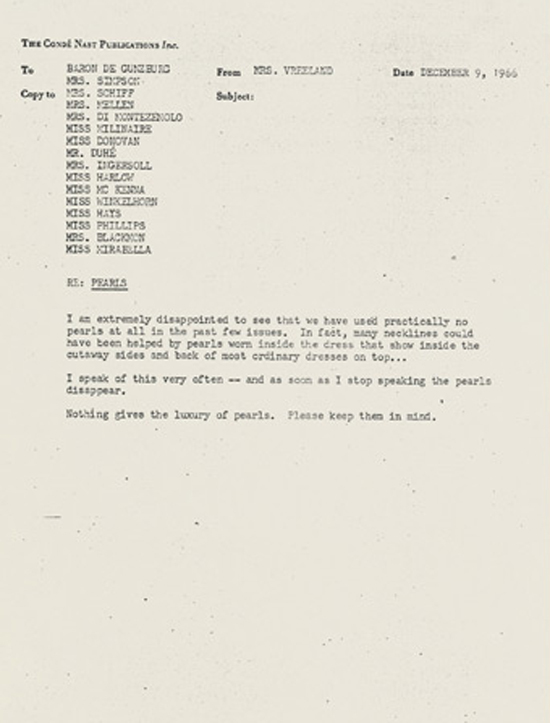 How amazing would it be to read a larger collection of these memos?? 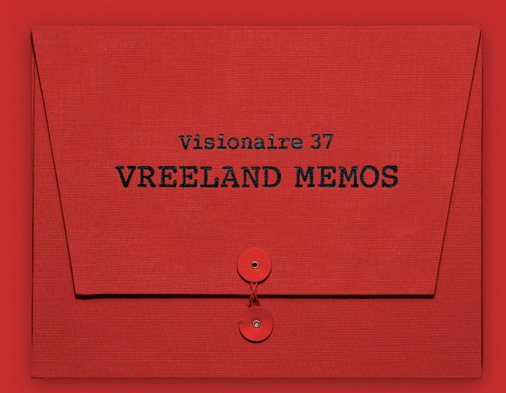 Just like Vreeland said herself, I’d DIE to get my hands on a copy of Visionaire 37 that published 150 of Vreeland’s office memos. I’m sure one day they’ll surface in a larger collection. So until that is published, check out the a-mazing documentary and the book! You won’t regret it!